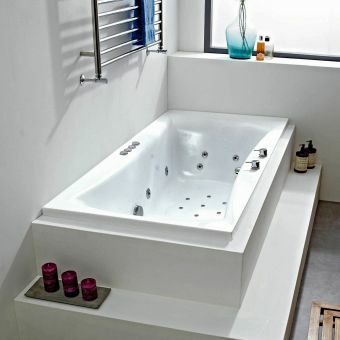 Nothing is more luxurious in a bathroom than a spa-like bath. 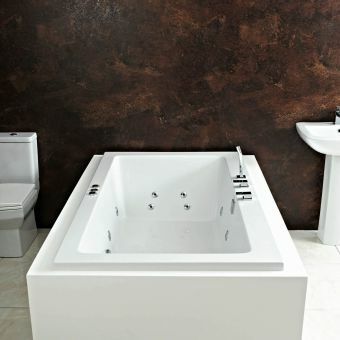 The Phoenix Marino Amanzonite Double Ended Bath has three whirlpool/airpool options to create a relaxing experience that you'll never want to leave. 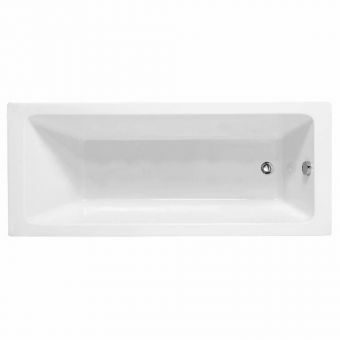 This bath is pretty big with dimensions of 1950(l) x 1350(w) x 480(d)mm. 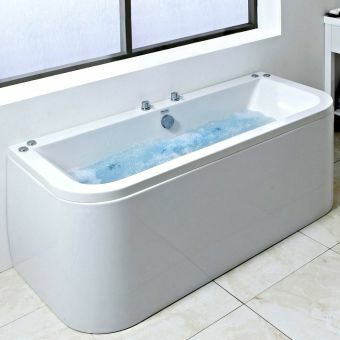 It also has a capacity of 460 litres. 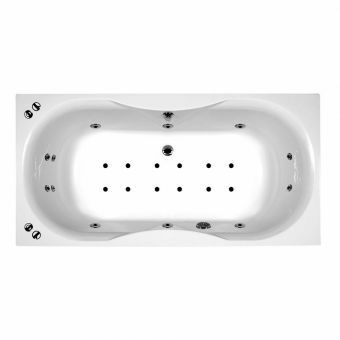 That gives you plenty of space for spreading out and really enjoying the bubble massage. 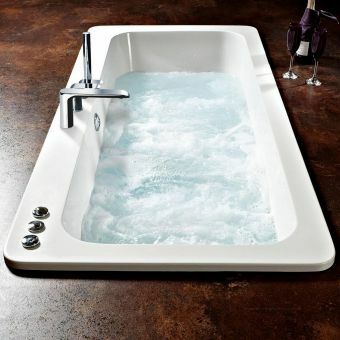 This Phoenix double ended bath comes as a standard bath or with three whirlpool/airpool options directional jets, foot and back jets, and different on/off settings. 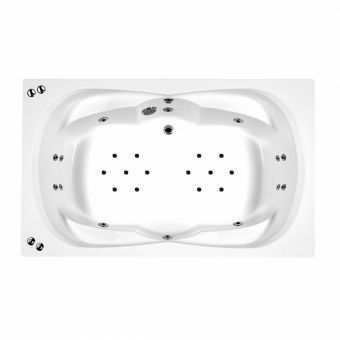 You can choose the one that suits your needs the best and never have to worry because of the 25 year manufacturer's warranty. Additionally, all of the pumps are dry run protected to make maintenance easier. 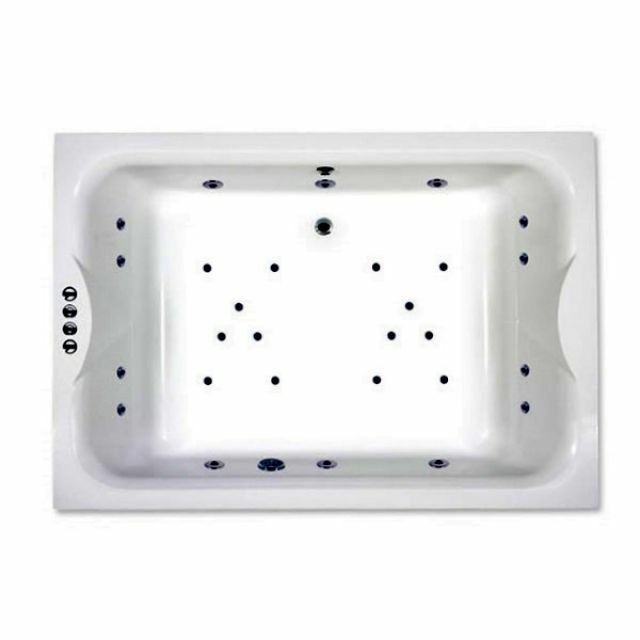 You can purchase an optional inline heater or an underwater lighting system that changes the colour of the water. This creates the ultimate atmosphere.